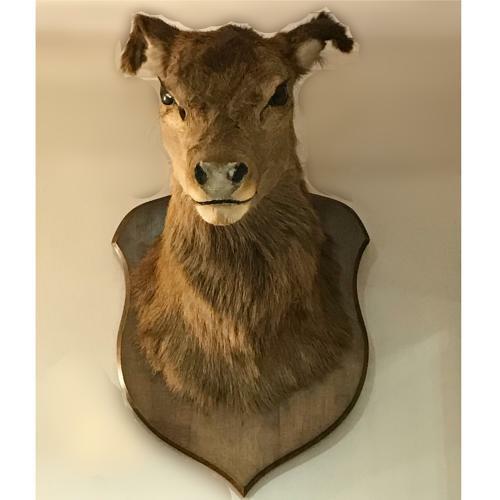 Large deer head taxidermy. A fantastic statement piece over a fireplace. Found in France.